There is one breakfast food that I dream about. 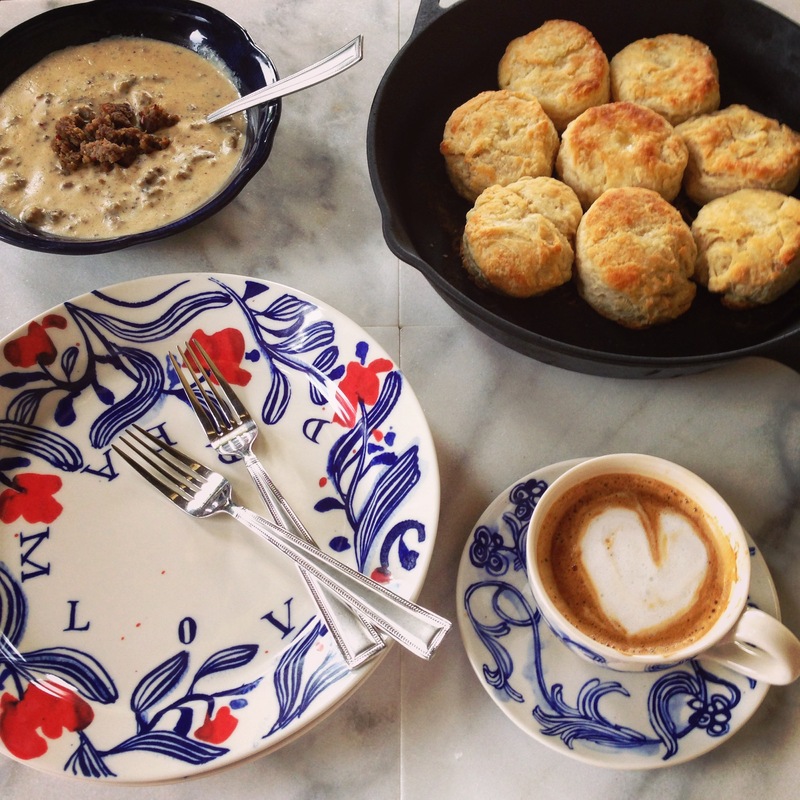 One dish that I wake up craving and can’t get out of my mind and that’s Southern Buttermilk Biscuits and Sausage Gravy. I can remember when I was a little girl and waking up to the aroma of my Mom or sometimes Dad in the kitchen making biscuits and sausage gravy. To this day it is still my most favorite breakfast. There is just something about the smell of a hot fluffy, buttery, biscuits in the morning. I love biscuits with blackberry jam, I love biscuits with sausage patties, I love biscuits with honey, but most of all I love them smothered in hot sausage gravy. This Biscuit recipe isn’t my own it belongs to Mrs. Paula Dean but I have tweaked it just a bit. One summer I went on a quest to learn how to make the perfect Southern Buttermilk Biscuits. 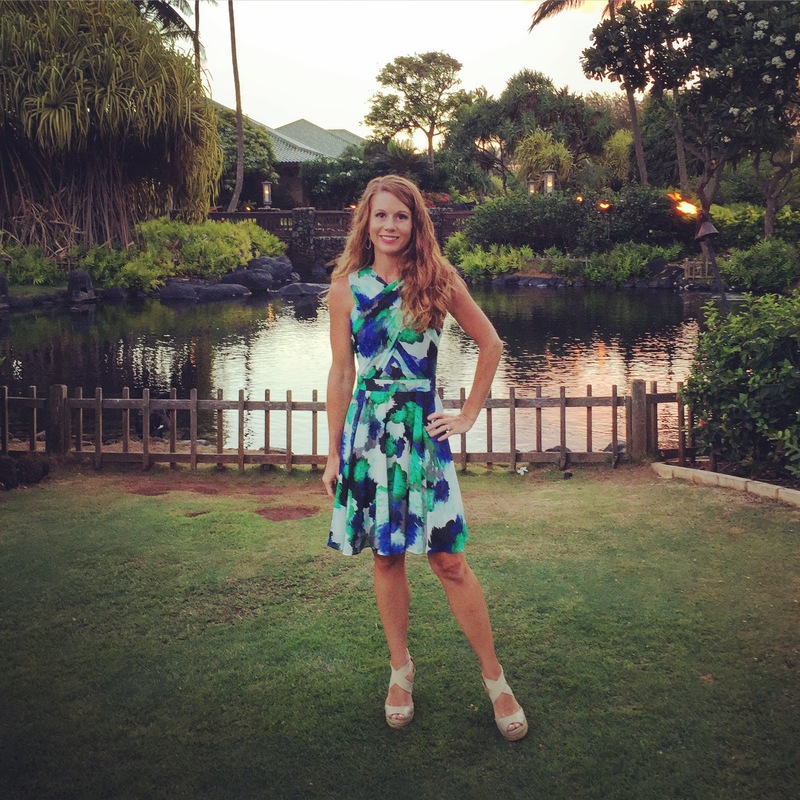 I tested so many different recipes then I came across this one and it is by far the best. Pre-heat the oven to 450 degrees F. If you have a cast iron skillet place it in the pre-heating oven if not a normal metal pie plate works well. In a medium bowl, combine the flour, sugar, baking powder, baking soda, and salt. Cut in the cold shortening with a pastry cutter or a fork until it looks like cornmeal or sand. Add the Buttermilk a little at a time (you may need a little more than a cup of Buttermilk I always do) until everything is well mixed. Now for the tricky part…. Just remember a tender, fluffy, biscuit requires a tender touch. The less you work the dough the lighter the biscuits will be. Turn the dough out onto a lightly floured surface (it’s going to be very sticky). Knead lightly two or three times. Then gently roll out the dough with a floured rolling-pin or gently press it out with your fingers to about a ½ inch in thickness. Then cut with a 2-inch round cutter. You could also cut these into 2×2 squares but biscuits are traditionally round. 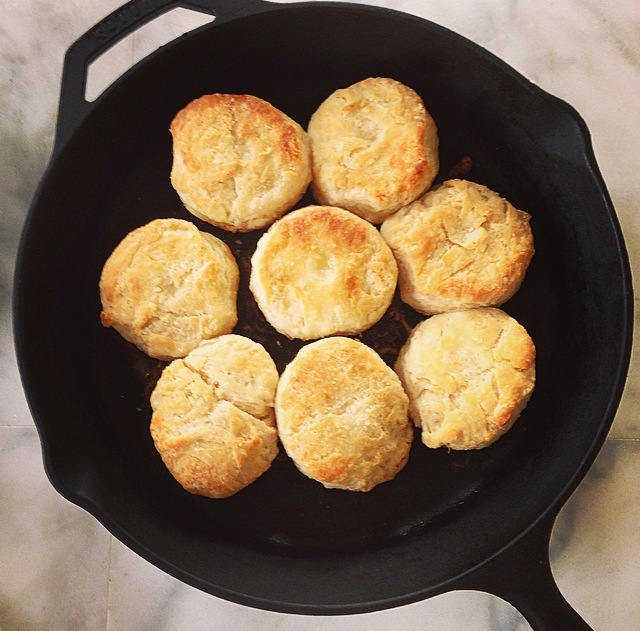 When the oven is up to temperature carefully place the biscuits in the hot, greased, iron skillet or metal pie plate. With your thumb gently press down and make a small dent on top of each biscuit. Brush the biscuits with half the melted butter. Bake for 14 minutes or until golden brown and then brush the hot biscuits with the remaining melted butter. While your biscuits are in the oven heat up a drizzle of extra virgin olive oil in a heavy skillet over medium heat. In the skillet brown your sausage for about 8 minutes, breaking it up into small bits with a wooden spoon. Take the sausage out of the pan (leaving the grease) and put off to the side. Add the vegetable shortening to the sausage drippings and once melted add in the flour and whisk until bubbly and smooth for about 1 minute. Slowly whisk in the warm milk and bring to a simmer, stirring constantly. Add the crumbled sausage to the gravy and salt and pepper to taste. Reduce heat to a low simmer and stir with a wooden spoon until thick, about 5 minutes. Add a little more milk if needed to control the thickness to your liking. 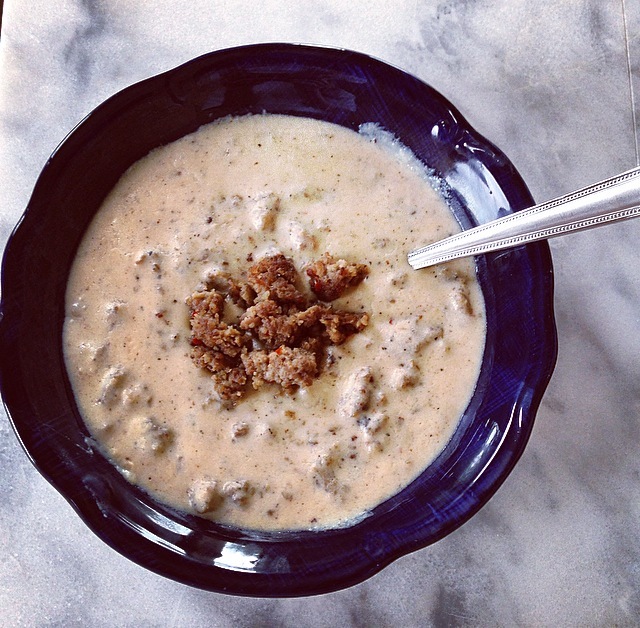 Split the hot biscuits in half and ladle over the bubbling hot sausage gravy. Enjoy! Thanks Tonya 🙂 it really is one of my favorites and they are so easy to make. 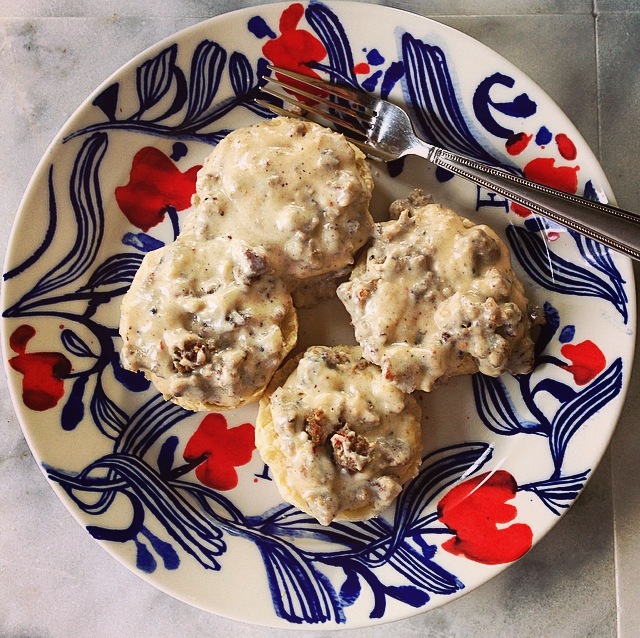 As soon as I saw the picture of the biscuits & gravy, my mouth started watering… I have to make this soon! I hope you love them and much as I do!! They remind me of my home land’s pão de queijo! (something like cheese bread, but translation just misses the point, here! ), but of course without the cheese. Are they crunchy? or more cakey? This is a dream breakfast … makes me hungry. Thanks for sharing. Thanks Cecilia 🙂 I’m glad you liked it! Think that bacon grease or coconut oil could be used in place of the shortening? Bacon grease could be use in place of the shortening in the gravy… as for the biscuits you really have to have the shortening it provides that fluffy, light, biscuit texture and color. When I’ve baked with coconut oil before I could never get that golden brown color. ( traditionally lard is used but I refuse to use lard). My theory is yes biscuits and gravy isn’t great for you but I know homemade biscuits are better than anything from a “can”. 🙂 plus this is something I only make maybe one a year. Thanks for the comment and follow 🙂 I’m looking forward to getting to know you better.